Since sixteen-year-old Riley Strout lost her mother two years ago, her saving grace has been her quirky little family in the grief support group she joined as a freshman. Jay, Kate, and Noah understand her pain; each lost a loved one, and they've stuck together in spite of their differences, united by tragedies only they understand. When Riley thinks she spots her mother shopping in a grocery store, she fears she is suffering some sort of post-traumatic stress. Then Jay and Kate report similar experiences. Only Noah hasn't had some kind of vision, which is perhaps why he's become so skeptical and distant. 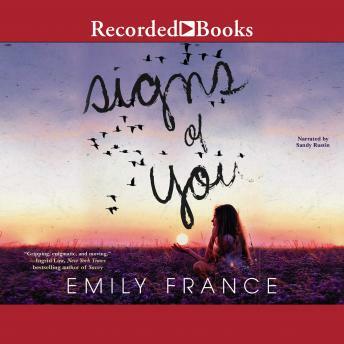 When Noah disappears, Riley fears she's lost another loved one. As they frantically search for him, she, Kate, and Jay are drawn into the mystery surrounding a relic that belonged to Jay's dead father and contains clues about the afterlife. Riley finds herself wrestling with her feelings for both Noah and Jay-which have become clear only in Noah's absence. If Riley is to help those she loves, and herself, she must set things right with the one she's lost.